5 Fab Things To Do In Barcelona! If you fancy jetting off on a weekend city break, then Barcelona is a hot spot of culture, fun, frolics and of course fiestas! Uniting beach with the buzz of city life, you’ll find plenty of great things to do on your break. Here are our top recommendations. There is no better way to explore the vibe of Barcelona than on foot. This way you get to take in the wonderful architecture, smell the fabulous food on offer and of course breathe in the laid back atmosphere that this cosmopolitan city exudes. If you find your feet getting a little tired, then there are plenty of places to catch the metro. Just make sure that you pick up a city map before you lose your bearings! Las Rambla is a pedestrianized tree-lined avenue that runs through the old town. Stretching from Playa Catalunya down to the seafront, it is just over a kilometre long – perfect for a gentle stroll. Bear in mind that it is a place that attracts lots of tourists, which unfortunately means that pickpockets like the area too. Expect to see lots of street performers, great to watch while you stop and enjoy the food and drink at one of the many cafes and bars. 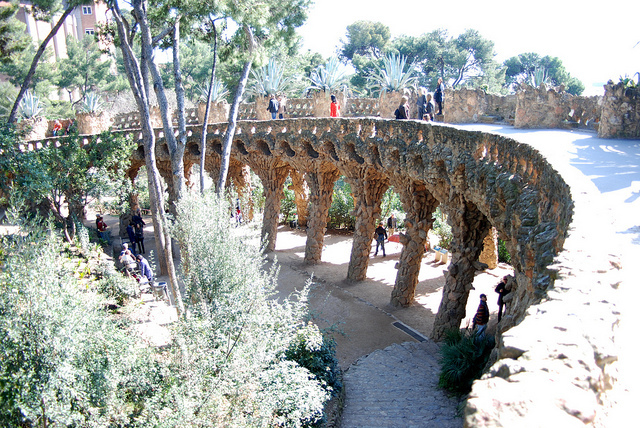 Also known as Gaudi Park to tourists, Park Guell is a magnificent feat of creativity where modernist architecture mixes with the incredible décor. The park was originally intended as a private development for the wealthier residents of Barcelona – unfortunately the venture was a commercial failure. Allow a good couple of hours to explore the area. There is plenty to see without having to pay to get into the main development area – but it is well worth it if you do! From the top of Park Guell, you’ll be able to see the Sagrada Familia – Basilica and Expiatory Church of the Holy Family, rising out of the city like a monolith. Your next challenge is to get to it by foot to marvel at the architectural talents involved! The walk should be about half an hour, at a leisurely pace of course – but make sure you have your map. The buildings are quite imposing in the city, and believe it or not, you will soon lose sight of this towering giant! The Basilica was designed by Gaudi, and believe it or not building work started in 1882, and it is still in progress! 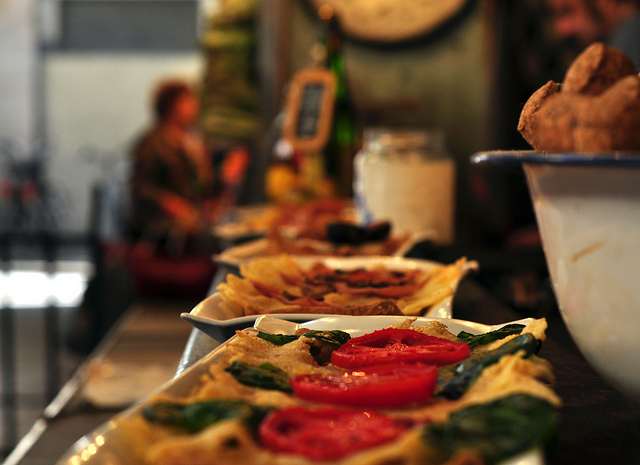 A trip to Spain surely isn’t complete until you have tucked into some tapas and quenched your thirst with Sangria! There are loads of places to sit and eat – indoors and outdoors, all year round. In the cooler months restaurants in the plazas bring out an army of patio heaters to make dining al fresco a pure pleasure. Your biggest struggle will be deciding where to go and eat! The Catalans love to party, and during some months you’ll find there is more than a festival a week! When you book a Barcelona break, bear in mind that festivals often mean bank holidays, and if a weekend is going to be a long one, then many people in Barcelona take most of the week off anyway. Great if you want to party, not so great if you are going for a spot of retail therapy. This entry was posted in Single Trip Travel Insurance, The places we've been, Travel Insurance on March 6, 2014 by worldwideinsure.